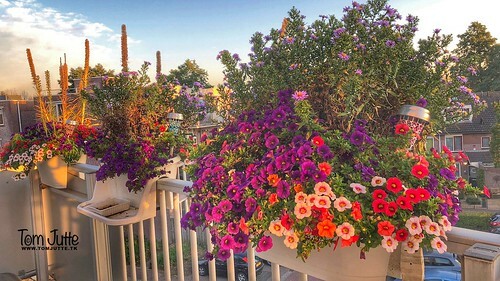 The summer flowers on my balcony are still blooming at sunset, in spite of the fact that it is actually autumn already. There are different colors Petunias in the trays and the blue-purple flowers are Asters. ☛ Please see here more from; Odijk, the Netherlands.